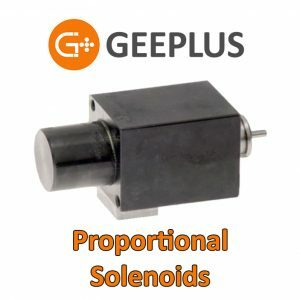 Proportional Solenoids are linear solenoids that exhibit a force proportional to the current, in a limited range. 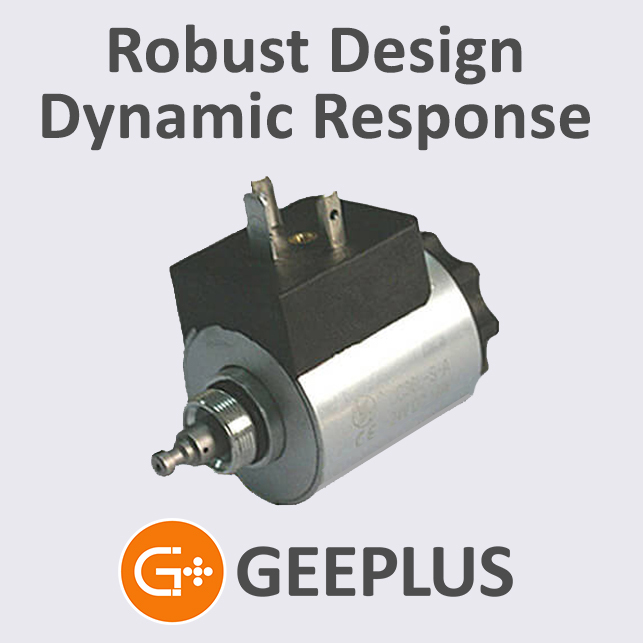 With the addition of a return spring in an application, the proportional solenoid can become a positioning device, where the position is proportional to the excitation current. Proportional Solenoids have two ranges of stroke: The control stroke (where the plunger position is dependent on the applied current) and the approach stroke (where force is dependent on stroke position). Most applications use only the control stroke. Proportional solenoids are used for force, tension, position or flow control. The Super Stroke Solenoid can be used to implement approximate proportional control over longer displacements. You can learn more in this brief video on the Super Stroke Solenoid. Proportional solenoids are often used in Hydraulic control systems, tension control, textile systems, force control in robotic systems, and valve applications, to name a few.